One afternoon, I was walking through the park in my local community and I saw a group of Latinos enjoying themselves around their grill. I shouted across the way, “How about a double cheeseburger?”. They shook their heads and wagged fingers in the air to indicate that there were no cheeseburgers involved. However, they motioned me to come over. I lived in Chile for three years and love to speak Spanish, so I joined them. They were cooking very thin slices of beef and warming corn tortillas on the grill. They took a few pieces of meat off the grill, chopped them into bite size pieces, put them into a warm double tortilla. They then added some onion, cilantro, and salsa verde (a somewhat spicy green sauce made with tomatillos and jalapeños) and passed it to me. Wow, it was really good. As I walked away, I thought that some people would like to send the Latinos packing and build a big wall to keep them out. A little strange since most of them just seem work really hard, and, if they are gone, we will miss some of their great foods. The following day, I was still thinking about these great tacos. This was truly authentic food and nothing like you find in any of the Mexican fast food places. I decided that I had to figure out how to do it myself. So, I went to a Mexican market and started asking questions. The first thing that I realized is that there are many types of traditional tacos – carnitas, tacos al pastor, tacos de pescado and a hundred more in addition to tacos de carne. I decided to concentrate on tacos de carne asada since that is what I had just experienced. Some also call it the king of tacos. 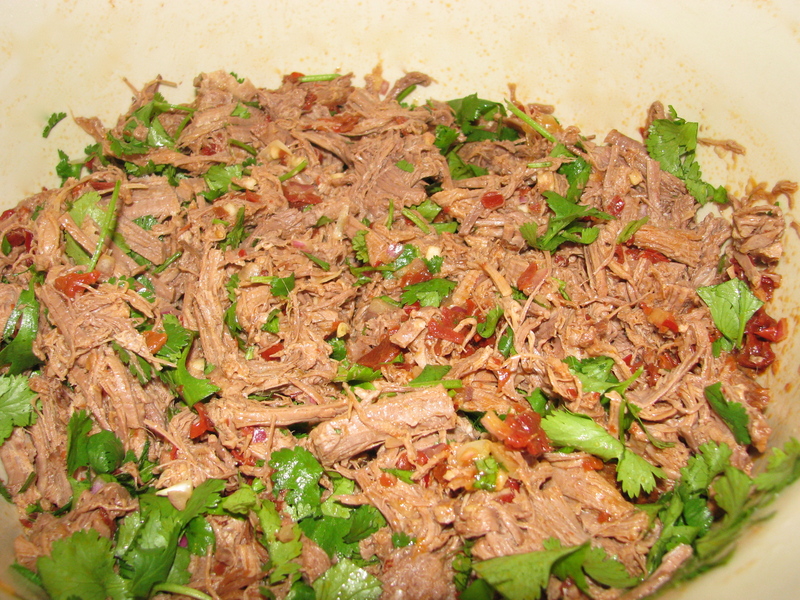 Carnitas: Made with pork which is slow roasted. Think pulled pork ala Mexicana. Tacos al Pastor: Made with chicken and sometimes with shrimp. These have a spicy adobo sauce. Talking to the butcher/shopkeeper, I found that the traditional meat used in tacos de carne is skirt steak, which is sliced very thin. I bought three pounds – about $7.50 a pound. He was excited to hear about the project and talked me through the whole process, and it became clear that he knew what he was talking about. Skirt steak can be tough and my Mexican guru suggested that they be marinated overnight in salt, garlic, turmeric, orange juice and lemon juice. He showed me two Goya products called Adobo (a garlic salt seasoning with some added spices) and Mojo Criollo (orange and lemon juice with added spices), which I purchased. I looked at the labels and realized that these products had all of the ingredients he had mentioned. So, if you need a shortcut, these are good products, but we’ll tell you how to do everything from scratch below. We talked about the toppings. Traditionally, in Mexico, tacos de carne are served with onion, cilantro and salsa verde. Salsa verde is not as spicy as you might think and easy to make at home. Your local supermarket will also have it, but the homemade is much better and most supermarkets will have tomatillos and jalapeños, the key ingredients. These little peppers are a key element of Mexican cuisine. When cooking with jalapeños, you can control the heat very easily. The heat comes from a chemical called capsaicin. 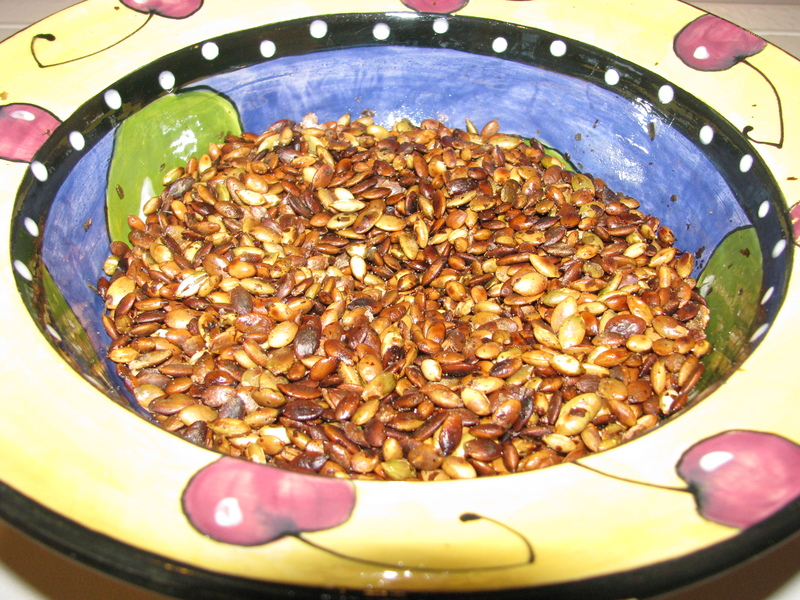 The seeds and the light colored ribs inside the pepper contain the highest concentration of this phytochemical. Take those out and the pepper is surprisingly mild. Leave them in and you will catch everyone’s attention. The capsaicin in peppers is a natural anti-bacterial agent. Like cilantro, which is also an integral part of Mexican cuisine, the capsaicin kills bad bacteria, even e-coli. Capsaicin is also considered a natural remedy for sinus congestion, inflammation and even prostate cancer. Heavily season the meat with garlic salt on both sides. Put meat into a gallon size ziplock plastic bag and add the turmeric, orange and lemon juice. Seal tightly and marinate in refrigerator overnight or at least four hours. When the tomatillos are cool, quarter and put into a blender or food processor. Add the peppers, onion, turmeric, garlic, salt and pepper, and one-half cup of chopped cilantro. Blend until smooth. You might have to add a little water to get a thick but flowing consistency. Fire up the grill and cook the meat over medium heat for about 2-3 minutes or each side. Remove to the cutting board and chop the meat into small pieces and put in aluminum pan on the grill. Stack two tortillas, add a big spoonful of meat and top with onion, cilantro and salsa verde. Wrap it up and enjoy.